My mom's 67 Caprice and my dad's 64 Falcon as well as my brother's 68 Fury I 440 ex DPS were good practice but none compared to my 1st titled in my name. Thanks Daddy. My 1st car (my dad bought it for me) was a beautiful 1971 Cuda 340 dressed in Orange with a White vinyl top. 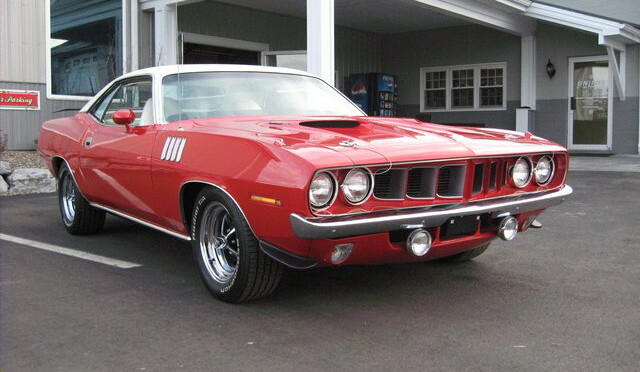 This was the 4 headlight 'Cuda with the Gills, Hood Scoop bumps with racing pins and painted Grille to match the car. When I first saw it I couldn't believe how beautiful it was. Imagine the awe when my dad said he would buy it for me. Now after all this time my Cuda is gone just like my dad, but never forgotten. Chevrolet and Indianapolis Motor Speedway unveiled the 2010 Chevrolet Camaro SS Indianapolis 500 pace car. The first year for Camaro to pace the Indianapolis 500 was in 1967, the year the Camaro made its debut. Camaro has since paced the race in 1969, 1982, 1993 and 2009. The Chevrolet Camaro SS Pace Car is equipped with a stock 400 hp 6.2L V-8, an RS appearance package and leather interior with Inferno Orange interior accents. 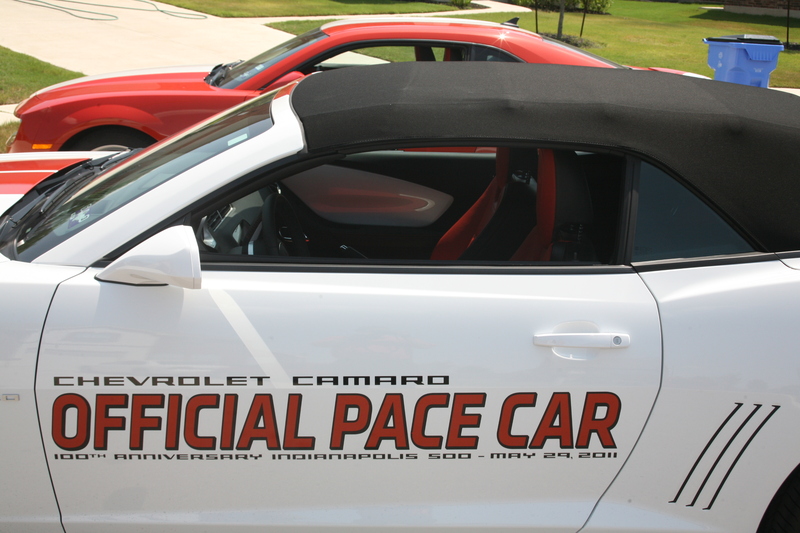 The pace car also features unique design cues that further enhance the Camaro’s head-turning design. Features unique to the pace car include: 2010 Indianapolis 500 event logo painted on doors and embroidered on driver and passenger headrests, 2010 Indianapolis 500 event logo badges on front fenders, All-new front grille insert that Chevrolet plans to offer as a future Camaro accessory, Amber lens tail lamps and All-new GM Accessory floor mats with red and orange accent stitching. HIS (2007 Corvette Pace Car) & HERS (2010 2SS/RS Camaro) but to listen to my wife they are both MINE and she is walking. That's really funny because they are both registered to her. My wife must be a comedianne like her cousin Terry Crook. Thank God i got my eysight back (and a new driver's license in July 2010) so I can start driving all these cars she says are really mine. That tune will certainly change since I know she LOVES that Camaro & the Vette too a lot more than I do. 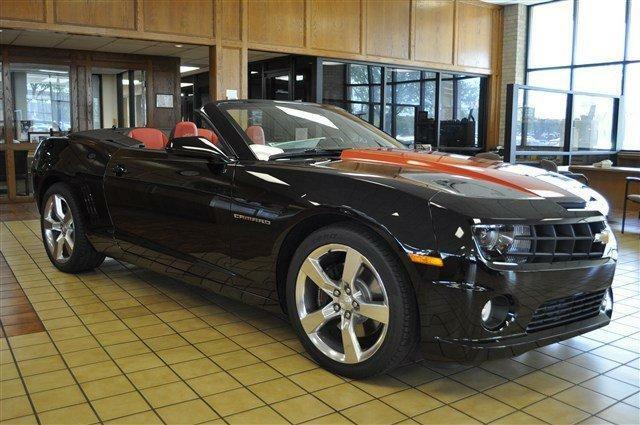 I should've kept my 2005 Coupe Vette but at the time I didn't think I would ever drive again. You see the beautiful accomplishments but don't know the anguished beginning. These trials and tribulations I went thru being blind and not are testament to what I mean. 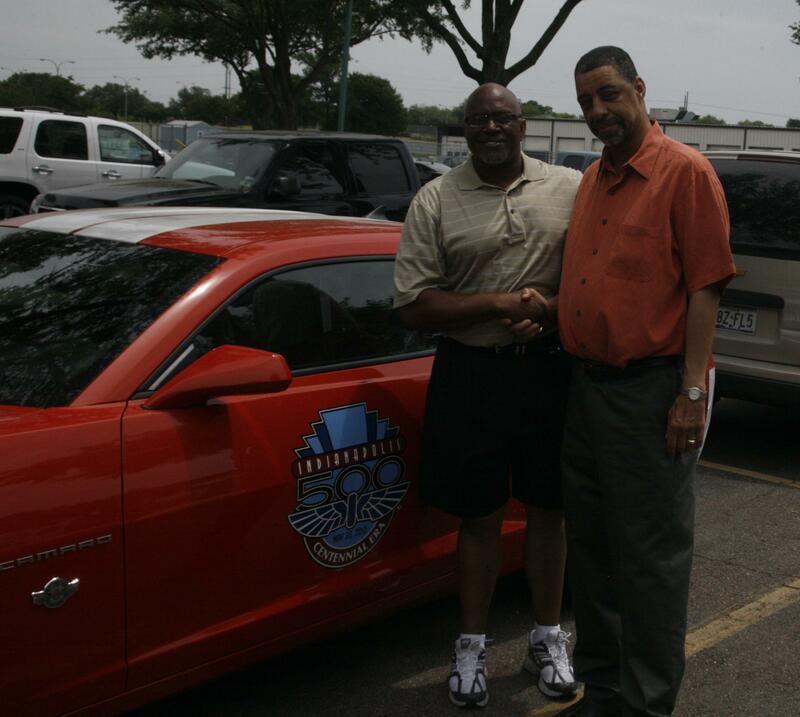 My favorite 1978 Corvette Pace Car with under 40k miles is Authentic and under restoration..